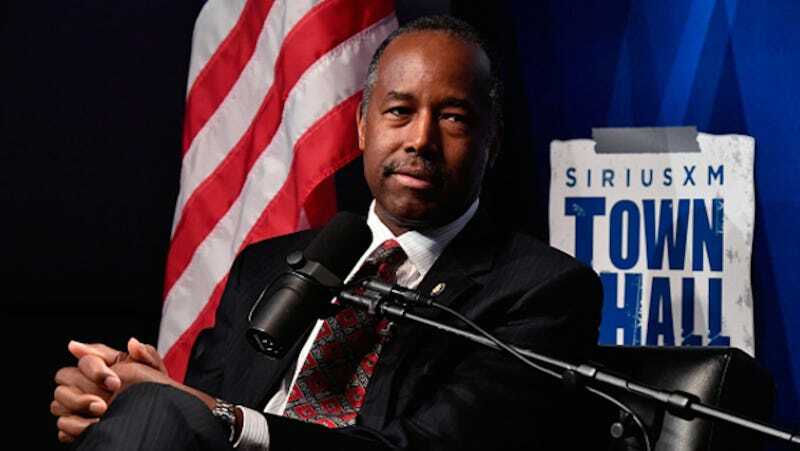 In late May, Ben Carson, our Secretary of Housing and Urban Development who thinks the Egyptian pyramids were giant silos, went on Sirius XM radio to discuss how Trump’s plans to slash benefits like food stamps would actually help the poor. There he expressed the controversial idea that “poverty to a large extent is also a state of mind.” He has since attempted to clarify what he meant. Of course [state of mind is] just a component [but] it is an important component, how a person thinks. And I know there was a recent article that says, no, the state of mind is caused by poverty. I totally disagree with that. I think you can have a lot of people who are in poverty who are not adversely affected by that at all, who have a winning attitude and who will do whatever they need to do to be successful. And I would encourage people to go to the Horatio Alger Society website, and read those hundreds of biographies there of Americans who rose through incredible odds and severe poverty to become leaders in our society. Stay upbeat about having your SNAP benefits cut, and you can do anything! Carson does add that how you look at being crushingly poor is not the full extent of what creates poverty. Dive into Carson’s baffling hypocrisy with the full interview here.